Summer in Highland Perthshire is now in full swing! The kids are out of school and full of energy for the summer holidays, Highland Safaris grounds have been buzzing with families looking for adventures together and the café is stocked and ready to fuel the fun! Around this time of year our passion for cycling gets stoked by our Gaelic cousins in France, with the best in the world meeting to put their skills to the test in the Tour De France. Chris Froome overnight but we can promise that whatever your ability this area can offer you something amazing! If you are into road cycling there are many classics rides to be had. The roads are not only quiet but they twist and turn through valleys and glens, tackle one of the Perthshire’s hill passes for a challenge or cruise down a backroad stopping off at Highland Safaris for well earnt pit stop! 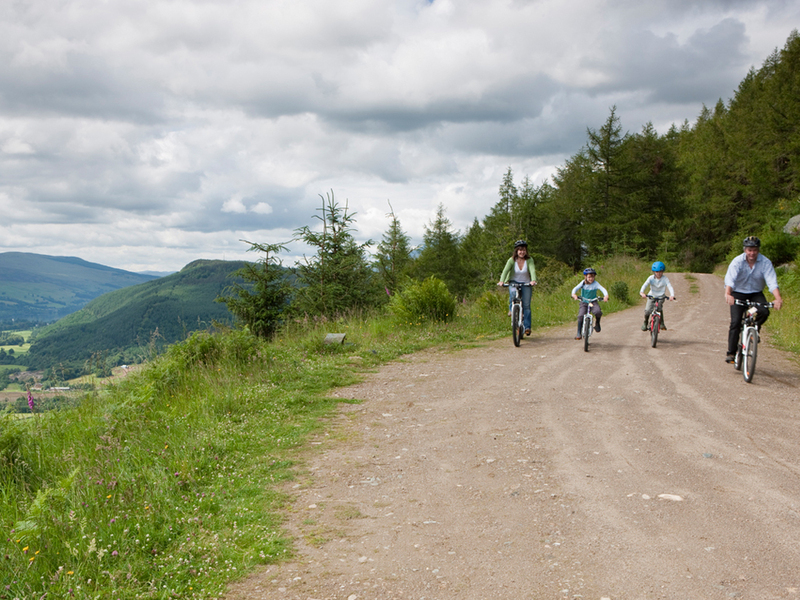 Mountain biking in Highland Perthshire again can suit every rider’s needs. The river tracks that follow the majestic Tay are friendly for a family day out, whilst still exploring some amazing countryside they are relatively flat! Those looking for a more adrenaline fueled day out can climb from the flood plain to the forest lined hills where many trails await to be discovered. These trails are not only quiet but they take in some of the most stunning scenery in Scotland, it definitely helps take your mind off the climbs! At Highland Safaris we find ourselves nestled in amongst this biker’s paradise and always welcome those that have arrived on two wheels. If you are a family Peloton, a party of mountain bikers or a road riding club stop by and tell us your adventures or if you need some advice our staff are always more than happy to point out their favourite routes on the map. We hope your summer is going well and that we get to share an adventure with you soon!